There’s more to the province of Rizal than its reputed dedication to art. With its historical architecture that stands to give a concrete glimpse into its past, to its newly developed tourism sites that showcase future developments, Rizal has diverse cultural treasures, natural wonders, and local culinary treats that are just waiting to be explored. A popular pilgrimage site, Pililla is home to the St. Mary Magdalene Church, which has been classified as a historical structure by the National Historical Institute of the Philippines (NHIP). The original Pililla Church was built with the help of the townspeople, who used nipa and bamboo as raw materials. After the first church was razed by a fire, the missionaries decided to put up a stone church in 1670 – a project that was completed three years later. The church is located at the town plaza, just across the municipal town hall of Magdalena. Located just outside the archway of the entrance to the Saint Mary Magdalene Parish, the Bahay na Bato (with a literal translation, “House of Stone”) has been a popular site, not only for locals, but also to filmmakers, tourists, and historical explorers. It is one of the many old structures in Rizal which was built during the Spanish era. of Filipino folklore have been filmed here. No need to go way up north to Ilocos Norte to marvel at the backdrop of windmills. In Pililla, 27 wind turbines are strategically scattered over the mountains overseeing the Laguna Bay. And while Ilocos Norte is known to have many of its windmills by the beach, Rizal has its own on lush green hills, some of them abundant with pineapples. Apart from being a tourist destination, Pililla Wind Farm supplies renewable energy to an average of 66,000 households. Operated by Alternergy Philippines Holding Corporation (APHC), the windfarm started in 2013 after the APHC was awarded the exclusive rights to operate the wind power project five years prior. The wind farm in Pililla is the first Luzon-based windfarm outside Ilocos Norte. And because of its increasing popularity with tourists, dining outlets have sprouted nearby, where you can enjoy the view whilst having a relaxing bite. Chill as you order a freshly ground brewed coffee variants such as Choco Java Chip and Mocha Peppermint Frappuccino, Latte, as well as Avocado, Mango Banana and Strawberry Mango smoothies, then pair it with your favorite pasta or cheesecakes. Apart from that, The Daily Beans also serves a mix of breakfast, brunch, Filipino, French, and Italian food. It’s strategically located along the road where commuters and travelers bound for Quezon, Laguna, and other tourist destinations pass by—so you can’t miss it. Sample their Beef Tapa, Daing na Bangus, Crispy Bacon, Hungarian Sausages, Baguette slices with butter and jam, and fresh fruits. Aside from the variety of dishes and refreshments, the homey feel and quality service have kept The Daily Beans thriving in its almost seven years of existence. Walk through the dragon fruit orchards, have a taste of the highly-in-demand fruit, and refresh yourself with dragon fruit drink! Situated on a hill overlooking the scenic Laguna Bay, this is a popular spot for road trippers. 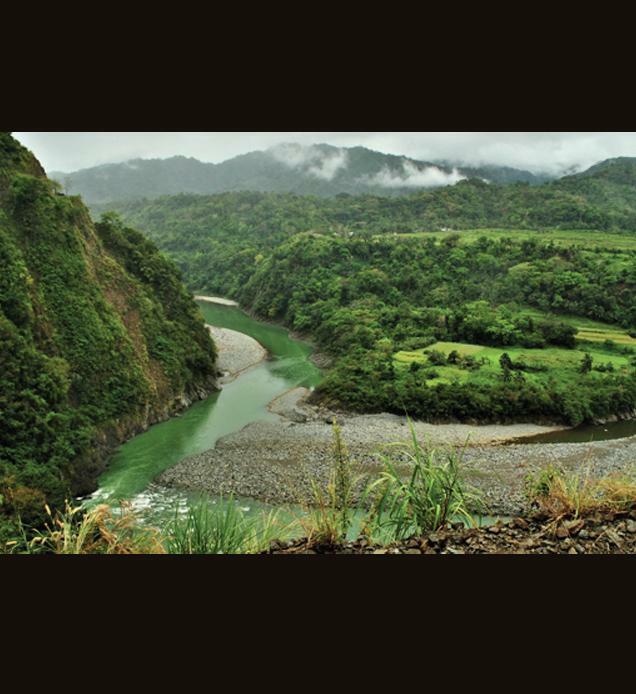 In 1980, Kawayan Farm was established for reforestation purposes and to prevent of soil erosion. As the name suggests, the farm is home to various species of bamboo. All the structures around the farm are made of bamboo as well. The farm also manages a restaurant known for its Filipino dishes such as Sinigang na Hipon, Fried Native Chicken, Labong (Bamboo Shoot) Bicol Express, Tofu, Fried Tilapia, and Halo-Halo. There’s an enclosed dining space near the entrance that can seat larger groups, while the airy dining spots with bamboo walls and floors at the back are ideal for families or smaller groups. As well, there’s a small children’s playground a small chapel, massage huts, and a few gazebos scattered across the grounds. Kawayan Farm also sells different bamboo seedlings which include white, yellow, black, Chinese, Buddha, and giant varieties. The Multi-Lingual Accredited Tour Guides Association of the Philippines (MULATGAP) has tours covering not just Pililla but also other parts of Rizal.